Want to catch up on all of the Oscar nominees before the ceremony? Check out this lineup of movies nominated for best picture showing on the big screen in and around Elgin. With a 93 percent critical approval rating and an audience score of 62 percent on Rotten Tomatoes, "The Favourite" has gotten a lot of positive attention since its release on Dec. 14, with a consensus that "'The Favourite' sees Yorgos Lanthimos balancing a period setting against rich, timely subtext -- and getting roundly stellar performances from his well-chosen stars." The film has received a total of 10 Oscar nominations. It's screening at Marcus Elgin Cinema (111 S. Randall Road) through Thursday, Jan. 31. Click here for showtimes and tickets. With an 82 percent critical approval rating and an audience score of 95 percent on Rotten Tomatoes, "Green Book" has racked up generally positive reviews since its release on Nov. 16. According to the site's overview of critic reviews, "'Green Book' takes audiences on a surprisingly smooth ride through potentially bumpy subject matter, fueled by Peter Farrelly's deft touch and a pair of well-matched leads." The Oscar-nominated film is up for eight awards. In the mood for popcorn? It's playing at Marcus Elgin Cinema (111 S. Randall Road) through Monday, Feb. 4. Click here for showtimes and tickets. 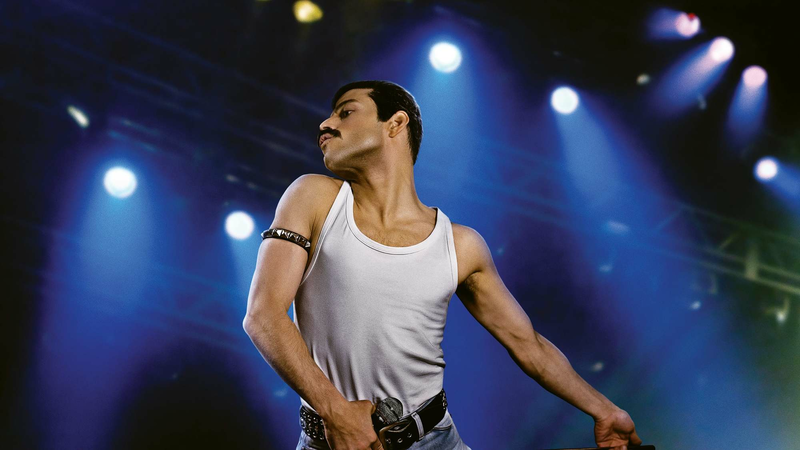 With a 61 percent critical approval rating and an audience score of 89 percent on Rotten Tomatoes, "Bohemian Rhapsody" is well worth a watch, with a consensus that "'Bohemian Rhapsody' hits a handful of high notes, but as an in-depth look at a beloved band, it offers more of a medley than a true greatest hits collection." Besides best picture, this biopic has also been nominated for an Academy Award for lead actor. It's playing at Marcus Elgin Cinema (111 S. Randall Road) through Monday, Feb. 4. Click here for showtimes and tickets.